Keeping in mind the ever-evolving needs of our clients, we are devoted towards offering an optimum quality array of SS Paper Holder. We offer SS Paper Holder to our clients. We are the foremost company of SS Paper Holder. These are made by experts employing the advanced techniques and premium quality material which is sourced from reliable sellers of a market. 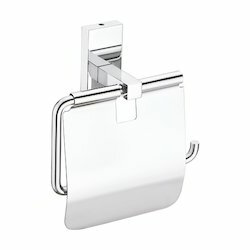 Matrix Bath Fittings Pvt. Ltd. Reckoned amid one of the credible market names, we are willingly engaged in offering to our patrons Brass Red Lay Paper Holder. Banking on the skills of our qualified team of professionals, we are involved in providing high quality range of Stainless Steel Paper Holder. Starting Range: Rs.150 to 300. 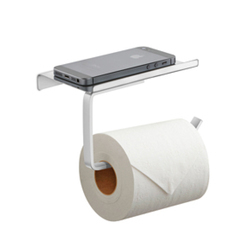 To retain our goodwill in clients' consideration, we are manufacturing and supplying an excellent range of Paper Holder.